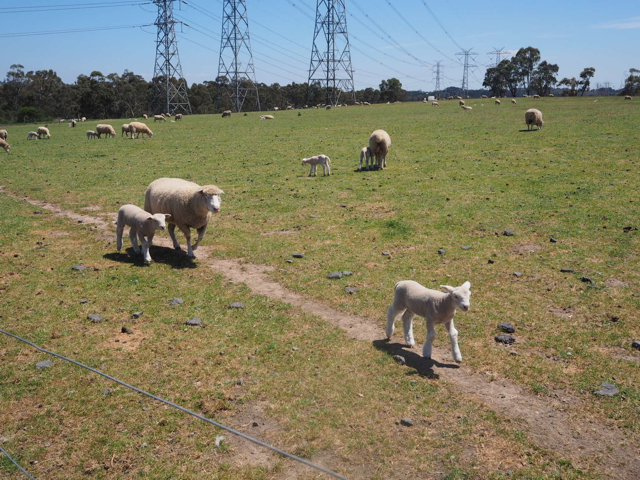 Chesterfield Farm in Scoresby is an historical tourist and children’s farm offering country life in the city. 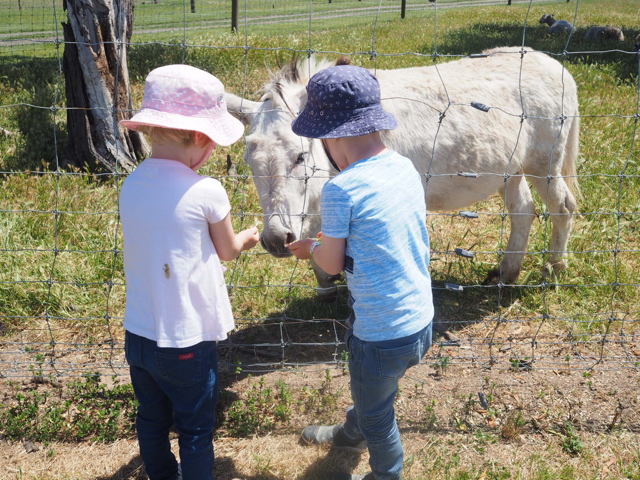 Located at a 40 minute drive south-east of Melbourne (nestled right next to Eastlink Freeway), Chesterfield Farm allows children to get close to animals and see first hand how a farm operates. 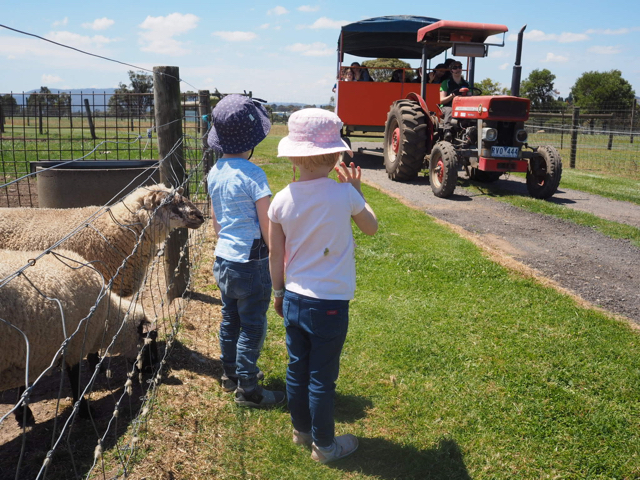 During your visit you will see all your favourite farmyard animals - sheep, cows, pigs, chickens, goats, ponies, rabbits, guinea pigs and donkeys as well as alpaccas, camels, deer, llamas, emus and kangaroos. Feed bags can be purchased for $1.50 for animals on the feed trail - watch out for the greedy goats! 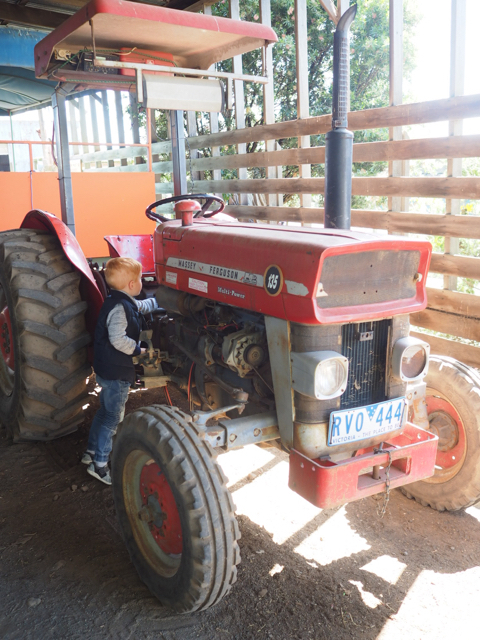 By far the best way to see Chesterfield Farm is to hop onto the tractor and take a ride ($3.00 per person aged 3+) through the paddocks. The all-weather wagon on the back fits about 20 people with the ride lasting approximately 10 minutes with full commentary. Want to get even close to the animals? 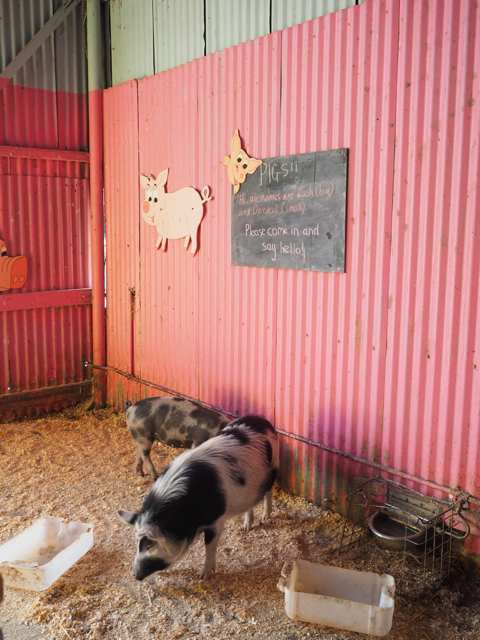 Head into the Baby Animal Nursery to cuddle a bunny, pat a calf, hand feed the guinea pigs or have a piglet nibble your shoe laces! Try to resist the urge to smuggle a baby goat into your bag, they are just so cute! A popular aspect of Chesterfield Farm is the daily farm activities, which are always lots of fun for all ages. Activities may include hand milking a cow, sheepdog display, pig talks, sheep sheering, whip cracking and bottle feeding lambs. A timetable of the day’s activities is given to you upon entry. 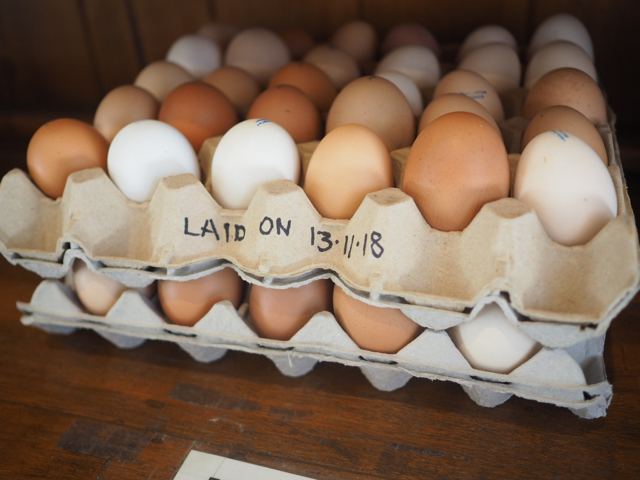 Before heading home, be sure to pop into the farm shop to pick up fresh eggs, homemade cheese or milk from the farm. The milk is pasteurised but not homogenised so you’ll find a thick layer of yellowish cream on top, just like Grandma used to drink! Don't forget your camera to capture the adorable interaction between the animals and your little people. Master Arlo is known as the animal whisperer and is often seen with puckered lips, offering sheep or goats a kiss! Check the website for up-to-date information about daily activities before you go as activities and frequencies differ between weekdays and on weekends/public holidays. Line up early for all scheduled activities as they can get really busy, especially on weekends and during the school holidays. The Homestead Cafe sells delicious pies and sausage rolls, homemade sandwiches, ice creams, snacks + hot and cold drinks. Feel free to bring your own picnic. There are several all weather lunch/picnic areas + $5 BBQ Hire facilities. Chesterfield Farm is relatively pram friendly with ample pram parking available outside of the main show barn, tractor station and animal nursery. There is also a designated baby change area located within the toilets opposite the main entrance, near the car park. Don't forget to pack your hat and sunscreen or gum boots and a change of clothes depending on what season you visit. 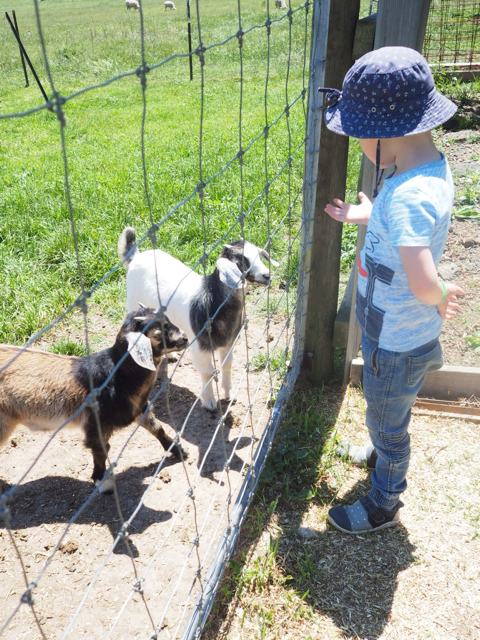 Chesterfield Farm is the perfect venue for children’s birthday parties, kinder and school excursions, mother’s groups and playgroups or a group function. Catering options are also available. Busy City Kids were invited at Chesterfield Farm for the purpose of a review with tractor rides and animal feed provided with entry. All opinions & feedback are genuine & truthful. Travel and food were self funded.